Wingspan needs to grow if we are to reach our goal of restoring New Zealand’s birds of prey into our daily lives and securing their long term future. This includes moving operations to a new more permanent site, expanding and developing a new centre. 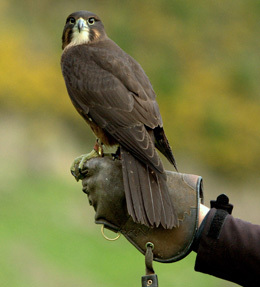 At our current centre we are restricted in the numbers of birds we can breed for release into the wild. 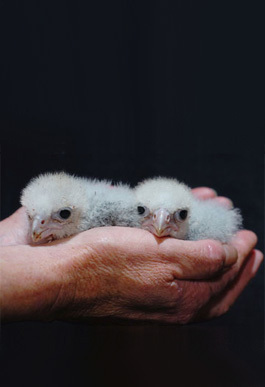 Moving to a new site in Rotorua and developing a larger centre, will allow us to breed more birds, and restore falcon populations nationwide. We need your support to grow. Expanding will also allow us to reach out to more people and show how birds of prey fit into the bigger picture. Birds of prey require a healthy environment. As a result Wingspan believes sustainable environmental and cultural practices go hand in hand with the conservation of New Zealand’s unique biodiversity. 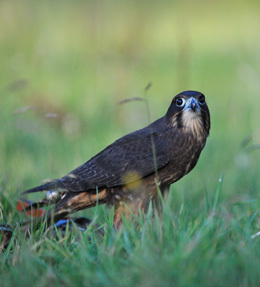 The new centre will therefore focus on conservation and education, while also promoting awareness of the environment, the importance of biodiversity and the unique cultural heritage surrounding birds of prey. Wingspan is seeking partnerships with other like-minded people and organisations. We would like to invite you to join us on the journey to achieve our goal, beginning by supporting Wingspan in purchasing land and developing a new centre. No matter how small, your donation really makes a difference. wingspan.nz@gmail.com phone: (07) 357 4469 or visit us: Wingspan National Bird of Prey Centre. Wingspan will soon be on the move, and relocating to a new site, where we will be building a new centre with innovative displays, even more spectacular! We will keep you posted as developments progress for the official opening late November 2018. In the meantime, our business and conservation programme will continue as normal, however there will be a change for visitors through this transition period. 1 – 31 December 2017: Flying displays at 2.00 pm daily, but CLOSED Christmas Day. Normal admissions apply. 1 – 28 January 2018: Last chance to see the Wingspan conservation programme, museum and aviaries at the current site. Visits will be by donation for the new centre! Staff and volunteers will have walk-through tours for visitors available at 11.00am, and 2.00pm daily, however there will no scheduled flying displays. We apologise for any inconvenience during this period, while we prepare our birds for shifting. From 29th January 2018: CLOSED until further notice. Prepaid tickets, vouchers/rain check cards and memberships: These will be honoured with a time extension, and will be available for admission at the new centre.